Metal casting or casting is a technique of making products where metals are melted in a melting furnace and then poured into a mold cavity similar to the original form of the cast product to be made. In manufacturing processes that use molten metal and molds, casting is used to produce the original form of the finished product. 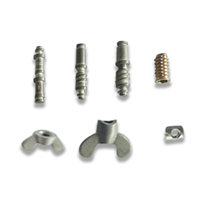 We accept zinc casting services, namely injection services for various Zinc Alloy based products. 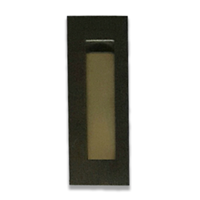 Cabinet Handle & Key Mass Metalindo produce all kinds of cabinet handles / pulls made from zinc alloy. Model, design and size of products can be customized to cater client's demand. This product is mass produced through zinc casting process, using automatic die casting machine and adopting Taiwan technology to assure maximal result and quality. Throughout the process we only utilise high grade molding, zinc material, technical support experts and high quality die casting machine. Generally cabinet handles / pulls made from zinc alloy will enter the next process with various choices for color / plating surface finishing, such as; gold plating, nickel plating, nickel chrome plating, bronze plating, cooper plating, antique brass, antique cooper, etc. Quality excellence and competitive price are Mass Metalindo first priority. Gas Regulator SparepartMass Metalindo produce all kinds of Gas Regulator Sparepart made from zinc alloy. Spesification of products are all customized to cater client's demand. 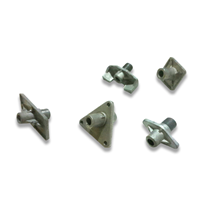 This product is mass produced through zinc casting process, using automatic die casting machine as well as adopting Taiwan and Japan technology to assure product preciseness. Throughout the process we only utilise high grade molding, zinc material, technical support experts and high quality die casting machine. Generally Gas Regulator Sparepart made from zinc alloy will go through finishing and machining process before assembling. Quality excellence, preciseness and competitive price are Mass Metalindo first priority. Motor Spare PartsMass Metalindo produce all kinds of automotive spareparts and accessories made from zinc alloy and aluminium alloy. Spesification of products are all customized to cater client's demand. This product is mass produced through zinc casting and aluminium casting process, using automatic die casting machine as well as adopting Taiwan and Japan technology to assure product preciseness. Throughout the process we only utilise high grade molding, zinc material, technical support experts and high quality die casting machine. 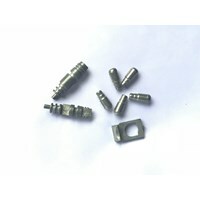 Generally automotive spareparts and accessories made from zinc alloy and aluminium alloy will go through finishing and machining process before assembling. Quality excellence, preciseness and competitive price are Mass Metalindo first priority. 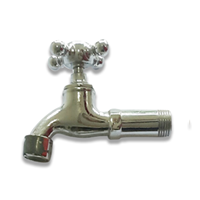 Sanitary FaucetMass Metalindo produce all kinds of sanitary faucet made from zinc alloy. Model, design and size of products can be customized to cater client's demand. This product is mass produced through zinc casting process, using automatic die casting machine and adopting Taiwan technology to assure maximal result and quality. Throughout the process we only utilise high grade molding, zinc material, technical support experts and high quality die casting machine. Generally drawer sanitary faucet made from zinc alloy will enter the next process with various choices for color / plating surface finishing, such as; gold plating, nickel plating, nickel chrome plating, bronze plating, cooper plating, antique brass, antique cooper, etc. Quality excellence and competitive price are Mass Metalindo first priority. Buat Permintaan Untuk "Zinc Casting"
ButtonsMass Metalindo produce all kinds of buttons made from zinc alloy. Model, design and size of products can be customized to cater client's demand. This product is mass produced through zinc casting process, using automatic die casting machine and adopting Taiwan technology to assure maximal result and quality. Throughout the process we only utilise high grade molding, zinc material, technical support experts and high quality die casting machine. 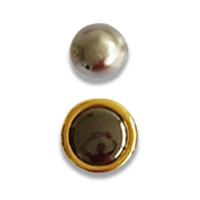 Generally buttons made from zinc alloy will enter the next process with various choices for color / plating surface finishing, such as; gold plating, nickel plating, nickel chrome plating, bronze plating, cooper plating, antique brass, antique cooper, etc. Quality excellence and competitive price are Mass Metalindo first priority. Cabinet Pulls / HandlesMass Metalindo produce all kinds of cabinet handles / pulls made from zinc alloy. Model, design and size of products can be customized to cater client's demand. This product is mass produced through zinc casting process, using automatic die casting machine and adopting Taiwan technology to assure maximal result and quality. Throughout the process we only utilise high grade molding, zinc material, technical support experts and high quality die casting machine. Generally cabinet handles / pulls made from zinc alloy will enter the next process with various choices for color / plating surface finishing, such as; gold plating, nickel plating, nickel chrome plating, bronze plating, cooper plating, antique brass, antique cooper, etc. Quality excellence and competitive price are Mass Metalindo first priority. Wiper LinkMass Metalindo produce all kinds of automotive spareparts and accessories made from zinc alloy and aluminium alloy. Spesification of products are all customized to cater client's demand. This product is mass produced through zinc casting and aluminium casting process, using automatic die casting machine as well as adopting Taiwan and Japan technology to assure product preciseness. Throughout the process we only utilise high grade molding, zinc material, technical support experts and high quality die casting machine. 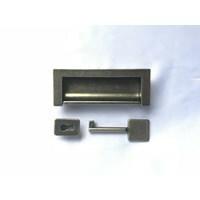 Generally automotive spareparts and accessories made from zinc alloy and aluminium alloy will go through finishing and machining process before assembling. Quality excellence, preciseness and competitive price are Mass Metalindo first priority. 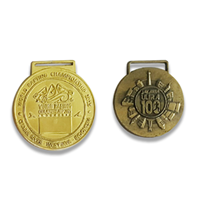 MedalsMass Metalindo produce all kinds of medals made from zinc alloy. Model, design and size of products can be customized to cater client's demand. This product is mass produced through zinc casting process, using automatic die casting machine and adopting Taiwan technology to assure maximal result and quality. Throughout the process we only utilise high grade molding, zinc material, technical support experts and high quality die casting machine. Generally medals made from zinc alloy will enter the next process with various choices for color / plating surface finishing, such as; gold plating, nickel plating, nickel chrome plating, bronze plating, cooper plating, antique brass, antique cooper, etc. Quality excellence and competitive price are Mass Metalindo first priority. Car Antenna AccessoryMass Metalindo produce all kinds of automotive spareparts and accessories made from zinc alloy and aluminium alloy. Spesification of products are all customized to cater client's demand. This product is mass produced through zinc casting and aluminium casting process, using automatic die casting machine as well as adopting Taiwan and Japan technology to assure product preciseness. Throughout the process we only utilise high grade molding, zinc material, technical support experts and high quality die casting machine. 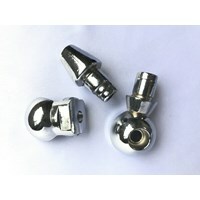 Generally automotive spareparts and accessories made from zinc alloy and aluminium alloy will go through finishing and machining process before assembling, there are various choices for color / plating surface finishing, such as; gold plating, nickel plating, nickel chrome plating, bronze plating, cooper plating, antique brass, antique cooper, etc. Quality excellence, preciseness and competitive price are Mass Metalindo first priority. Teaching Aid EquipmentMass Metalindo produce all kinds of Teaching Aid Equipment made from zinc acloy and aluminium alloy for Educational purpose and has been used in School's Laboratorium. This product is mass produced through zinc casting and aluminium casting process, using automatic die casting machine and adopting Taiwan technology to assure maximal result and quality. Throughout the process we only utilise high grade molding, zinc and aluminium material, technical support experts and high quality die casting machine. Quality excellence and competitive price are Mass Metalindo first priority. The products mentioned above are only a small part of all the production that has been done by Mass Metalindo. 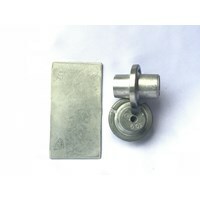 If you want to know more about whether Zinc Casting products have been done by us, then please contact us.